Dudley Salt, age 33, has been the chief officer onboard the luxurious 197' MY ELYSIAN since its renaming in June 2016. Having gained his Masters 3000 in November that year, the opportunity arose recently for him to step up as relief captain for ELYSIAN’s first Atlantic crossing. Dudley has planned for more than 10 Atlantic crossings in his career, but this time it would be different. Stepping into the role of captain is something that Dudley has been working toward since starting out in the industry in 2007. His first challenge was to replace himself as chief officer, and his immediate choice was a well trusted friend and master of navigation. “In taking on a role of such responsibility, it is important to know and trust the judgment of those working alongside you,” Dudley said. After a busy shipyard period, the crew of ELYSIAN left to depart West Palm Beach to arrive in Monaco in time for the Grand Prix. While weather plays the largest part in the decision of when to make way, owner commitments are of course top priority and they were determined to make it in time to prepare the boat for its first trip of the Med season. After multiple test runs of fire and safety drills and a careful appraisal of the upcoming weather patterns, the crew were ready to depart on May 3. With Captain Grant Heunis in full support of Dudley’s venture, he gladly waved the crew goodbye from the dock, and Captain Dudley Salt’s first voyage officially began. A bumpy start to a 17-day passage across the Atlantic helped some of ELYSIAN’s new crew members find their sea legs in no time. With the entire crew on 24-hour rotation for the duration of the trip, it was important that all aspects of the vessel were taken care of from the officers of the watch, to our trusty lookouts, engineers, chefs and of course the interior crew maintaining the crew and guest areas. Passing the time on an Atlantic crossing is always a challenge. When calmer seas presented themselves, the girls were out on the sundeck working on their St. Tropez tans. The deck crew succumbed to the lure of PlayStation and, of course, before our departure the movie selection onboard received a much needed update! It is tradition to celebrate the halfway mark of a crossing, and when weather permits yachts will often slow down, allowing braver crew to jump from the sundeck or simply dip in the big blue ocean. Unfortunately for the crew of Elysian, time was of the essence and slowing down was not an option to stay out of the path of even larger seas. However, to mark the occasion, lunch was celebrated with a Halfway Sushi Party prepared by the yacht’s new Sous Chef, Charlie Chin. Those that were not on duty were able to slip into a Kimono and enjoy a rare lunch outside as they marveled at how far they had come and how far there was yet to go. After 12 days, the crew were scheduled to pull into Gibraltar to refuel before continuing on to Antibes. Due to looming weather patterns, it was recommended they avoid the straits of Gibraltar and instead refuel in Madeira and await calmer seas. Some of the crew were able to step ashore for a well-deserved afternoon off, and The Belmont Hotel High Tea was a superb treat: fresh scones, egg sandwiches, cakes and tea were devoured while taking in the beautiful view of Portugal. However, with a tight deadline and a go-head from Weather Routing, it was a short but sweet visit and by the afternoon of the 15th the crew were underway again. Unknown to anyone, the swells of the Atlantic Ocean were about to test the capabilities of the crew and the yacht itself. By midnight that night the Elysian was plowing its way through 18 foot seas and 30 knots of wind. In an attempt to seek a better angle for the yacht to make way through the rising seas, Dudley made the decision to turn away from our headed direction. It took Elysian 5 hours to do 12 nautical miles in an easterly direction to find calmer seas and give the crew, and the vessel, a much needed break. Needless to say, finding shelter in the anchorage of Antibes after 19 days at sea and with 2 days to spare before the scheduled owner’s trip, the entire crew were in need of a well deserved frosty beer. A successful voyage with many a tale to be retold, it is indeed a milestone that Dudley will remember for the rest of his career. Many thanks to the owners of Elysian and Captain Grant for their well wishes in his first voyage. What Does a Boson Do? Aside from a strange word, the simplest dictionary definition of a bosun is “a ship’s officer in charge of equipment and the crew.” The highest ranked member of a ship’s deck department, he or she is responsible for the rest of the yacht’s deck crew and all associated equipment. Sounds simple, right? It’s anything but. There is way more to a bosun than the basic definition provided above. The bosun truly plays 100 different roles, which can vary from one minute to the next. Some of the duties that a bosun performs, guests will never even know about – that’s part of the magic of being aboard. The bosun is a teacher and a true teammate. Leading the rest of the deck crew throughout a wide variety of tasks, the bosun is constantly sharing knowledge and encouragement with those in his command. From anchoring to sitting watch to tying a particular type of knot, the bosun is a true leader for his team. The bosun is a host (and most likely a comedian). If you spend a lot of time in the water and on a superyacht’s deck, you’ll by default spend a lot of time with the bosun. This is a great thing, as your standard bosun is full of interesting stories and has a true zest for adventure. He’ll walk on water (perhaps in cowboy boots) to get you whatever you need, even if what you need is an inflatable swan. The bosun is also a safety officer. From jet-skis to tubing to wakeboarding to scuba diving, yachting gives guests tons of opportunities to try new and exciting activities. However, without taking proper precautions, some of these activities have the potential to be dangerous. The bosun is always watching to ensure that everyone has fun, but most importantly stays safe. Whether it’s organizing and executing a beach barbeque, winning cocktail competitions, radioing for more margaritas, setting up scuba gear, leading guided tours through mangroves, shammying salt-soaked railings, unloading or storing equipment, or diving to the bottom of the ocean for lost sunglasses, the bosun never stops and never fails to go above and beyond for those onboard a yacht charter. Elysian is truly blessed with, in our humble (completely un-biased) opinion, the best crew in the world. Our hard-working, never slacking, always smirking bosun is no exception. What does the bosun do? The bosun does it all. 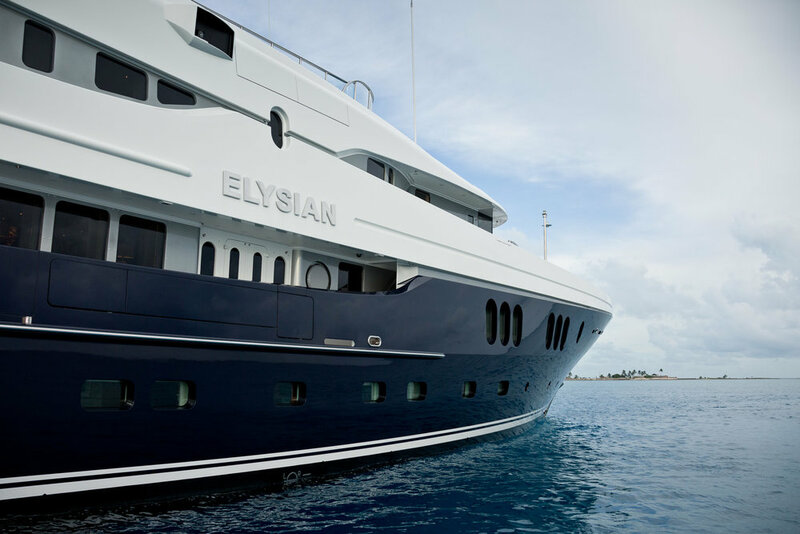 Being aboard Elysian makes you feel like you can be anyone, or anything, that you want to be – including a pro wakeboarder. Let me explain. I’ve spoken of my love for scuba diving before - I’ve always been partial to life under the waves, and Elysian is outfitted to help you explore the best diving spots the world has to offer. But as I mentioned before, being in paradise makes you feel more alive – and more adventurous. My sister is a great wakeboarder and always looks like a pro. Me? I wasn’t so sure, but I strapped myself in anyway! Our extremely patient and encouraging crew spent at least five hours in the water with me. I could not have asked for better coaches! Finally, amazingly, I successfully checked wakeboarding off my bucket list. I’m certainly not a pro – but I will definitely continue wakeboarding. Maybe you’re thinking, “That sounds nice, but wakeboarding really isn’t for me.” Fair enough. There are plenty of other things to do! If you feel the need for speed, take the WaveRunners for a spin. WaveRunners, to me, are the closest you’ll come to being a cowboy on the open range. It’s only you and the wide open ocean. You’re free - free to (responsibly) explore hidden caves, pristine beaches, intricate mangroves and deserted islands by your own rules. Speaking of pristine beaches, Elysian also supplies everything needed for the Best. Beach. Day. Ever: cabanas, beach loungers, paddleboards, and if you’re feeling competitive, an array of games and sporting equipment. But sometimes the best activity is lounging. Nothing wrong with that! Elysian is equipped with an array of inflatables to relax in. My favorite? The trampoline. Blow it up, flip it upside down and you have the perfect ocean lounger. Pro tip: Bring along a large quantity of frozen margaritas. For calm days when you’re feeling fancy and suave, you’ll feel like James Bond riding in the tender affectionately named “The Woody.” The 24 ft. Yachtwerft Meyer was custom built for Elysian and guarantees you’ll arrive at any destination in style. It’s the trusty 36 ft. Yellowfin that you will probably enjoy the most, though. From scuba diving to sport fishing to island hopping, the Yellowfin will take you there. Plug in your phone and jam to your favorite playlist for added effect – I find that all of my favorite songs get even better with the wind blowing through my hair and the sunshine beaming down on my face. 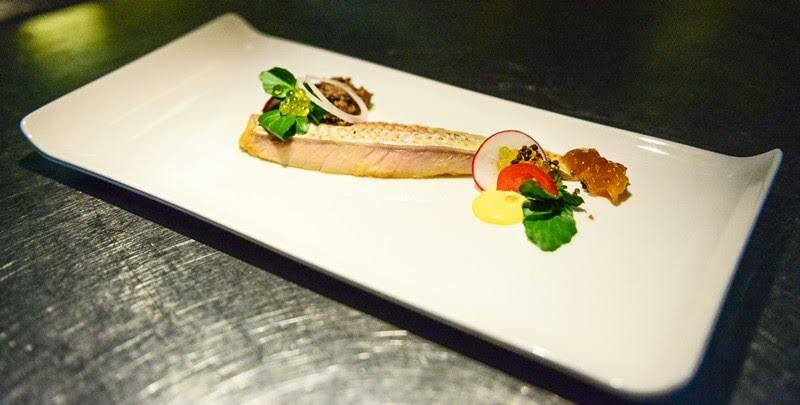 Motoryacht Elysian Sous Chef Karl Eliott won second place in the 164’ and above division of the annual ‘Concours de Chefs’ contest at the Antigua Charter Yacht Show last week. This year’s theme was Caribbean surf & turf. 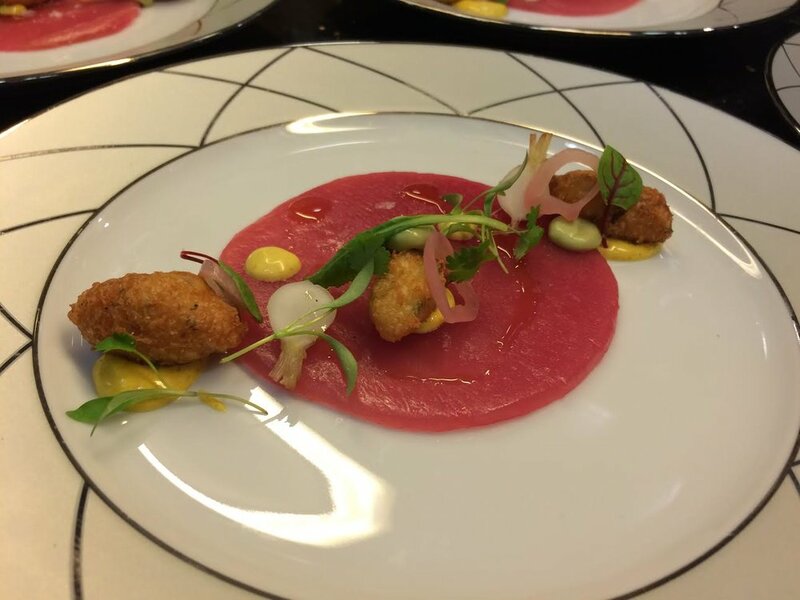 The chefs had to prepare a Caribbean appetizer, Caribbean surf and turf main course and a tropical fruit dessert. The judging was done on each chef’s yacht, and they had their choice of where on the yacht the lunch was served. The chefs were rated on originality/creativity, presentation, taste/flavor, adaptation to theme/Caribbean twist, execution of craft/technique and overall impression. Karl is excited to see where his yachting career takes him and is ready to help guests have the ultimate charter experience. Welcome to the first ever Elysian Yacht blog post! Here you’ll find crew biographies and interviews, testimonies and tall-tales from those who’ve had the pleasure of spending time on the Elysian, boat show experiences, location reviews, cocktail recipes (straight from very competitive and top secret on-board competitions), and more. But all of this is yet to come. First, I'd like to go back to the beginning - to the maiden voyage of the Elysian in June 2016. Back when we were less burnt and bruised and sun-soaked - back to the bow as we transitioned the Elandess to the Elysian. “What’s in a name?” Romeo famously asked. Well, a lot. My family logged an embarrassing number of hours trying to agree on a name. The decision felt too big, too beyond us. We started with a list of around twenty names. When we went to narrow those down we, somehow, ended up with fifty names. Nothing felt right. Finally, my Dad said enough is enough and made us all vote – very democratic of him. Well, aside from the fact that it was noted that, as always, my Mom had the ultimate say. So, finally, it was decided: Elysian. Elysian (adj. ): Beautiful or creative. Divinely inspired. Peaceful or perfect. My mom insists that ships have souls. If so, I wonder, did our Elysian know then she'd live up to her name? As we took her down a new path, was she sure of her magic and power? I can't be sure, but as we all stood in ceremony, anxious and eager, curious and boiling over with excitement about what was to come, I think she did. While there were many factors that helped Elysian fulfill the high bar of her name, two keys components stand out. The location: The Exumas was the perfect choice for our first trip. My family is active and we often spend more time in the water than we do on the boat. The Exumas provide the perfect oasis for snorkeling, scuba diving, swimming pigs, beach picnics, petting sharks, paddle boarding, and, of course, lounging. Stay tuned for a more in depth post on this location – including highlights, secret locations and where to find the best Pain Killer! The people: One of my favorite sayings is "your vibe attracts your tribe." Our Captain has certainly brought in a wonderful tribe, a crew who under his leadership gave us a week we will never forget. A week where the stresses of home didn't matter, a week where a wonderfully random mixture of moments: of laughs, boat jumps, messy hair, sun burns, salt water, delicious food, chipped nail polish, accents, camouflage (we’re from the South, y’all! ), and yes, tequila all laced together to create one perfect week. Keep a look out for features on our fantastic crew. Our initial voyage has laid the foundation for what the Elysian and all its passengers have become - home. Over dinner one night with the Captain, I asked him: "if I gave you a plane ticket right now to anywhere in the world, excluding to your family, where would you go?" His answer of New Zealand wasn't very shocking, but when I pressed him as to why, he said this: "When you're there, you just have the best feeling. Money, status, schedules don't matter. You feel welcomed. It's its own little world and there's no place like it." I've never been to New Zealand, but I do have to say I see some similarities to the feeling of being aboard the Elysian. But the best part of all this? It was only the first trip of many more. Adventure awaits and whether it was beautifully fated or a fortunate accident, I'm truly grateful that this is the tribe I get to experience it with. And now this is me inviting you to join us. Jump in, the water’s fine. 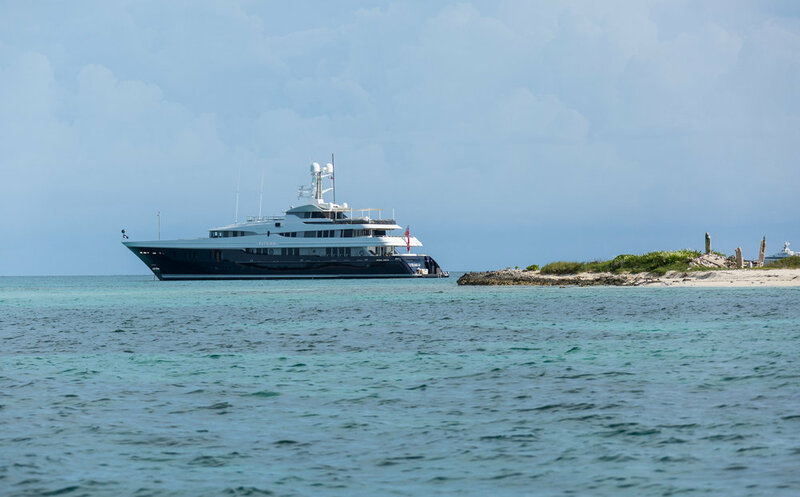 To charter Elysian, please contact your charter broker.